I'm kinda busy with my uni's life, since it had been started and I also have term exam every 3 weeks. Yes, 3 weeks! Plus I also got some skill lab's exam. I need to practice how to insert catheter to male and female, how to get fluor albus from male and last how to do rectal toucher to examine prostate. And those really takes a lot time from my 24 hours. I bought it from Zatura Shop for IDR 40.000,- It's affordable, right? 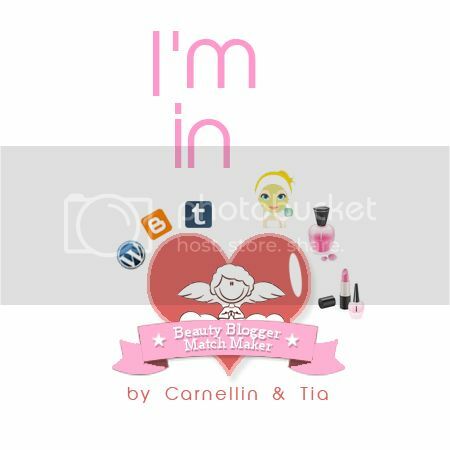 Since most of every girls who bought this use it for eye shadow base purpose, I also use it as an eyeshadow base :) Tho, it also can be used as white eye shadow or to highlight your inner corner or water line. 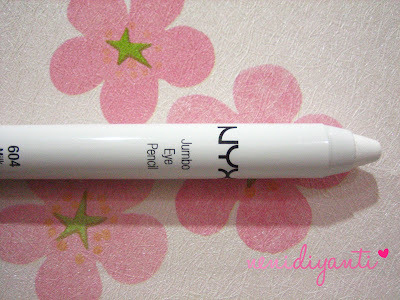 And it becomes more easier to use than NYX eye shadow base in jar if you gonna use this one as eye shadow base. The texture is creamy. 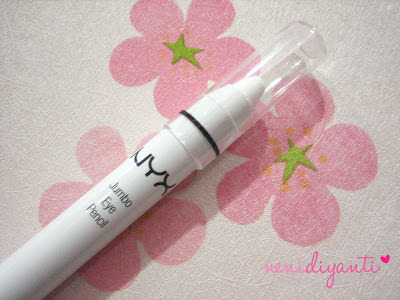 I can daub it on my eyelid and easily spread it with my finger. 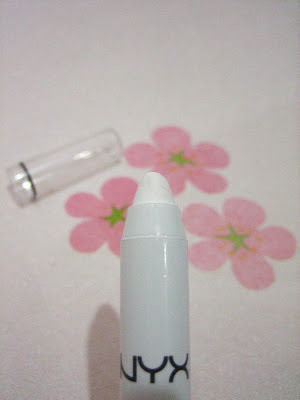 It can make your eye shadow's color popped out, even the light shade one (such as baby pink). Tho, it gives kinda white shade if you swipe your light eye shadow color on it. You need to make some layers to hide the white shade from this jumbo eye pencil. This is how it looks on my skin. The top one is a real shade after I daub it onto my skin. And the bottom one is after I spread it with my hand. Usually, I put my eye shadow on after I spread it on my eyelid so it won't give me such a white cast under my eye shadow tone. 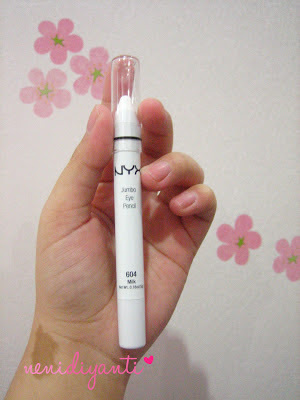 After buying this one, I'm gonna buy another color, like cottage cheese, strawberry milk and yoghurt. I really like this product :) Easy to use and multifunction.